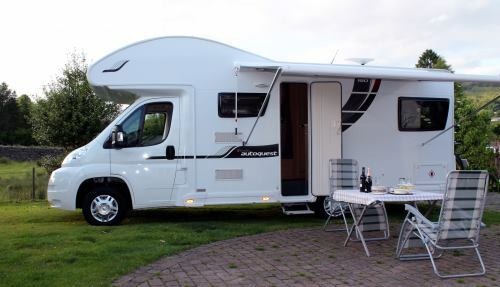 The Elddis Autoquest 180 (6 berth) Is ideal for touring the Lake District, Cumbria, Yorkshire and the Scottish Highlands, but with unlimited mileage the whole of Europe is within reach too. A roll out sun canopy, digital T.V., 3 double beds, 6 seat belts, fully equipped kitchen including a fridge. The bathroom includes a toilet, shower and hand basin. There is central heating and hot and cold pressurised water. Drivers must be aged 25- 75. Minimum 3 night hire prices based on week long hire.